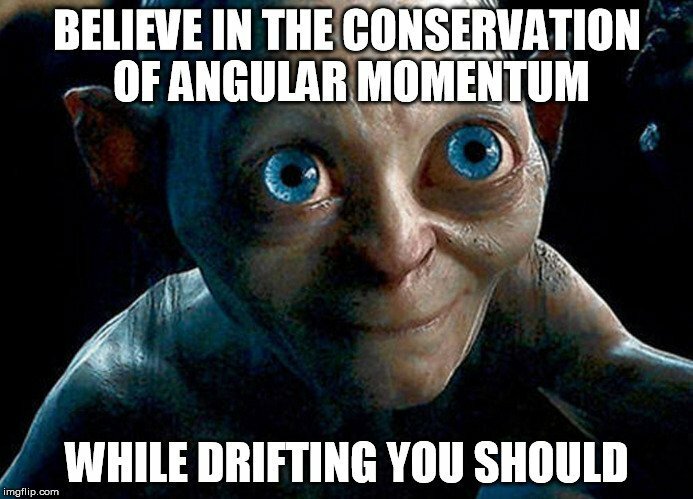 The flatness of our solar system can be ascribed to the law of conservation of total angular momentum. Due to this, whenever particles collide, they may move in any direction, but all the up and down motion cancels out, always following the rule that the total spin in that plane must be constant. 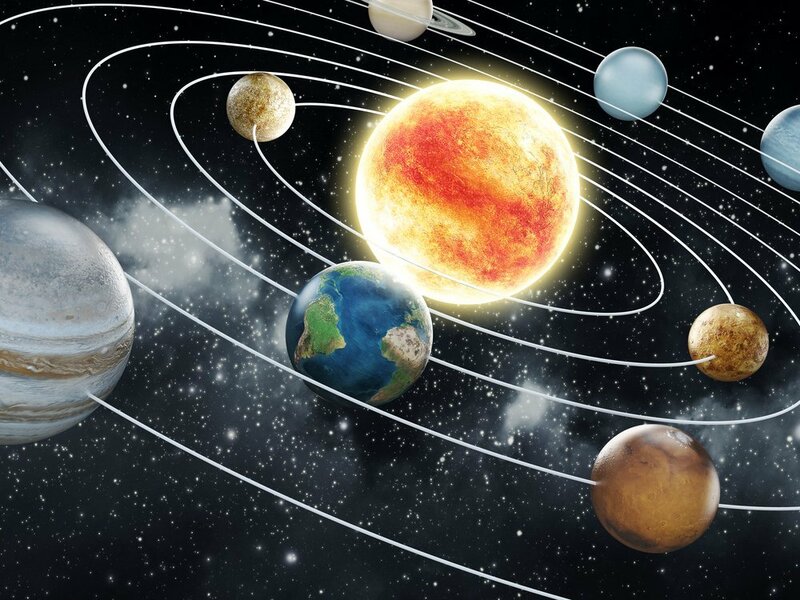 We all know that the Earth, the other planets and their moons all revolve around the Sun in elliptical orbits. However, have you ever stopped to wonder why these celestial objects move around the Sun in such a way that the Solar System appears to be lying on a plane, rather than going every which way? We have learnt in our classes, and it is common knowledge, that nature prefers spherical orientations. From the tiniest drop of water in zero gravity to the shape of our planet, spheres are nature’s favorite shape. Even the Sun, the largest object in our cosmic neighborhood, is also – you guessed it – a sphere! So why is it that all these planets, asteroids, meteors and moons chose to lie in a plane, endlessly circling in a two-dimensional dance? Think about Saturn’s rings, which are also disc-like. Even the asteroid belt lies in a flat plane. This is not a strange exception of our Solar System either; other galaxies billions of light-years away are oriented in a similar way. The Milky Way, our home galaxy, is a group of nebulae, stars and rocks flatly suspended in space due to mutual gravitational attraction. We can trace the origin of our solar system to a massive shapeless ‘blob’ of matter floating through space about 4.6 billion years ago. The particles in this ‘blob’ gradually began to move closer due to gravity, and whenever there are multiple particles and powerful gravitational forces, there are also collisions. These collisions and the subsequent trajectories of these particles are random, making them impossible to predict. Although these objects move randomly, the one thing that remains constant is a force called ‘Angular Momentum’. The Solar System is an isolated system in itself. The galaxy is also an isolated system, since the gravitational effect of other cosmic objects is negligible. In an ‘isolated system’, the total angular momentum has to be conserved. This physical quantity is constant around a fixed axis. This axis is a point in 2-dimensional space, and in our world, which exists in 3 dimensions, this axis turns out to be a line. The system rotates along a plane that is perpendicular to the axis. Therefore, whenever particles collide, they may move in any direction, but all the up and down motion cancels out, always following the rule that the total spin in that plane must be constant. Over time and after countless collisions, these particles lose their freedom in everything except 2-dimensional space, thereby aligning themselves in a plane. This is extremely fortunate for us, since we needed all those particles to come together so that planets and stars could be born. Otherwise, the same result would have been achieved, but it would have taken much more time. Furthermore, in terms of cosmological events and fans of stargazing, we wouldn’t experience eclipses nearly as often, due to the low probability of linear alignment between planets in a spherical system. Our Solar System is not actually a perfect plane, but is still well on its way to an ideal stage. Pluto actually lies at an awkward incline, due to its low gravity and isolated orbit. The asteroid belt, in its most oblique locations, also inclines at about 20 degrees from the main plane. Aside from these few exceptions though, the power of angular momentum has left the planets of our solar system in a tidy, predictable plane. Scientists have found many solar systems in the galaxy that are even more planar than ours, while some others have huge differences between their ideal and actual planes. This variation might be because they are relatively young or have had particularly violent histories. Our ancestors once believed that the world was flat; little did they know that the only flat thing about Earth is its larger position within the ocean of stars. Harsh Gupta graduated from IIT Mumbai, India with a Bachelors degree in Chemical Engineering. His pedantic and ‘know-it-all’ nature made it impossible for him not to spread knowledge about (hopefully) interesting topics. He likes movies, music and does not shy away from talking and writing about that too.